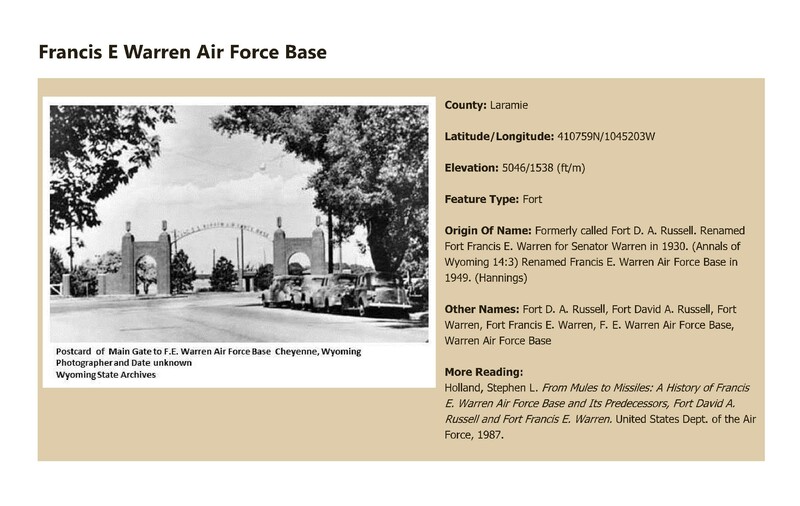 Topic: Holland, Stephen L. From Mules to Missiles: A History of Francis E. Warren Air Force Base and Its Predecessors, Fort David A. Russell and Fort Francis E. Warren. United States Dept. of the Air Force, 1987.